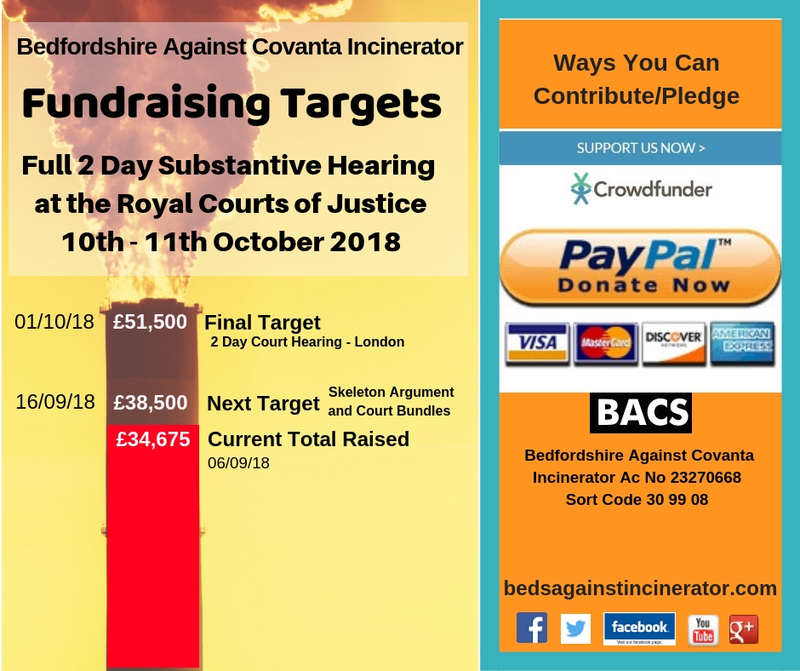 Bedfordshire Against Covanta Incinerator (BACI) has been granted a 2 Day Substantive Hearing at the Royal Courts of Justice on 10th and 11th October. £34,675 has already been raised towards the legal fees to make this court case happen. A further approx £16,825 is still needed in order for us to take advantage of this legal opportunity. If we do not take the Environment Agency to task now over the Environmental Permit issued to Covanta in January 2018 - we will not have the chance again. Monies pledged will go into the separate BACI Bank Account which is controlled by the BACI Treasurer and a second signatory who are members of the BACI committee.  If there are any funds left over at any point – this will be used either in the wider campaign (if this is still existing) for example air pollution monitoring equipment for the area – or another local project. See https://bedsagainstincinerator.wordpress.com/ways-you-can-pledge-contribute/ for other payment details. It is extremely important that we now secure the necessary funds to take full advantage of this Legal Opportunity.